Chennai Super Kings’ (CSK) Ravindra Jadeja completed his 100 wickets in the Indian Premier League (IPL). Jadeja achieved the feat during CSK’s match against Rajasthan Royals (RR) at the Sawai Mansingh Stadium in Jaipur. The left-arm spinner before the start of the match needed two wickets to complete the milestone and he achieved it by scalping Rahul Tripathi and Steve Smith. The Australian batsman was his 100th victim. RR vs CSK Live Score Updates. Jadeja, who has played for Rajasthan Royals, Kochi Tuskers Kerala, Gujarat Lions, and Chennai Super Kings, becomes 13th bowler to take 100 wickets in the IPL. The 30-year-old is the tenth Indian bowler to complete 100 wickets in the league. It took Jadeja 161 matches to reach the milestone. In the opening season of IPL, Jadeja went wicketless. Jadeja’s best performance with the ball came in 2014 edition when he scalped 19 wickets. In 2012, 2013 and 2015 the all-rounder managed to pick 12, 13 and 11 wickets. Last season, he finished with 11 wickets as well. IPL 2019: MS Dhoni Fans Ensure CSK Has Support in Away Ties, Says Dwayne Bravo. Jadeja has three timed picked a four-wicket haul and once a five-wicket haul. 5/16 apparently are his best bowling figures. He claimed dit during the 2012 season against now discarded Deccan Chargers. 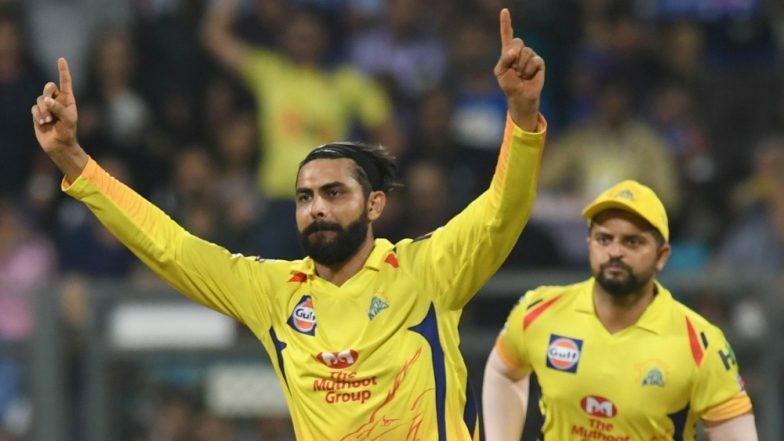 Jadeja over the years has become the core of the CSK team along with MS Dhoni and Rohit Sharma. Apart from picking 100 wickets, Jadeja has scored 1800 runs thus far in IPL. However, he is yet to register a half-century in IPL.